The new EZ Loader now handles loads from a minimum self leveling weight of 250 lbs. up to a maximum self-leveling weight of 3,500 lbs. with a maximum load weight of 4,000 lbs. during loading or unloading without the use of mechanical springs, motors or hydraulics. 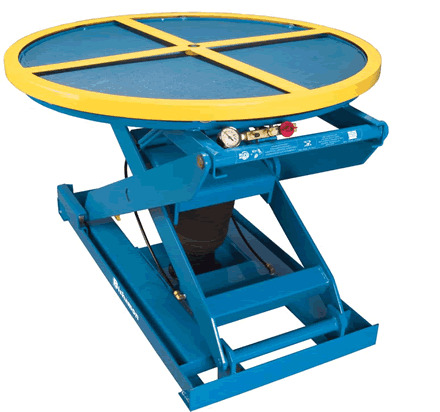 automatically adjusts keeping the top of the load at a convenient working height. • EZ Loaders arrive at your facility fully assembled - just add air!